Thanks to a Groupon, Dan and I had $50 to burn at Bo Brooks. We used to go there and get steamed crabs (too long ago to really comment on, but I know it used to be one of Dan's favorites), but this time we decided to give their entire menu a chance. 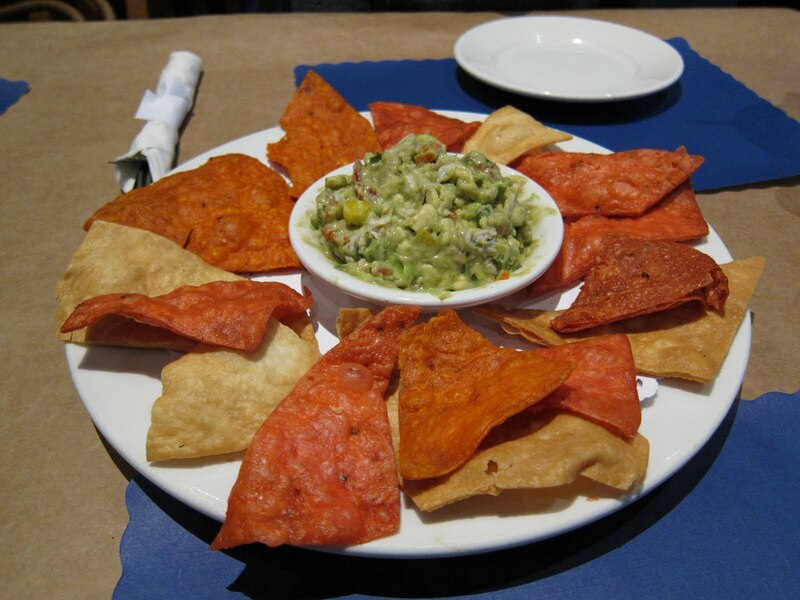 We started with the Crab Guacamole ($9.25), served with house-made chips made from their tortilla/wrap shells. I thought the chips were OK, but Dan loved them. I would have much preferred traditional tortilla chips. These were a little too greasy and crumbly. The actual guacamole itself was AWESOME. I would definitely order this again. 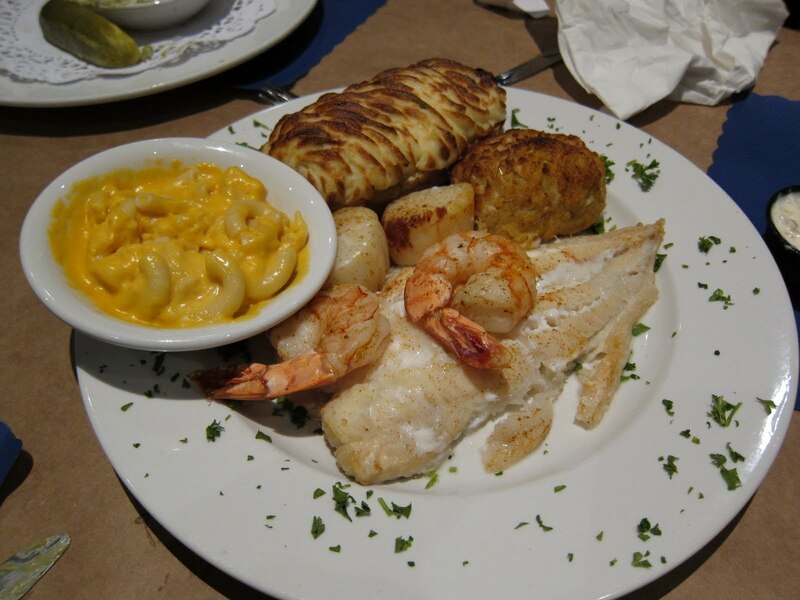 I chose the Seafood Combo ($27.50) - A selection of local, fresh seafood including scallops, shrimp, classic crabcake and fresh fish. Served broiled. It also came with two sides, so we chose the macaroni and cheese and the baked stuffed potato. The macaroni and cheese tasted like the fake kind, I didn't like it at all. The baked stuffed potato was creamy and delicious, until I realized that I tasted butter and not potato (YIKES!). As for the actual seafood, I loved the scallops and crab cake. The white fish was "eh" and the shrimp tasted like shrimp. To be honest, if I were to spend that much again, I would have rather ordered the Crab Cake Platter ($27.85) and received 2 crab cakes instead. 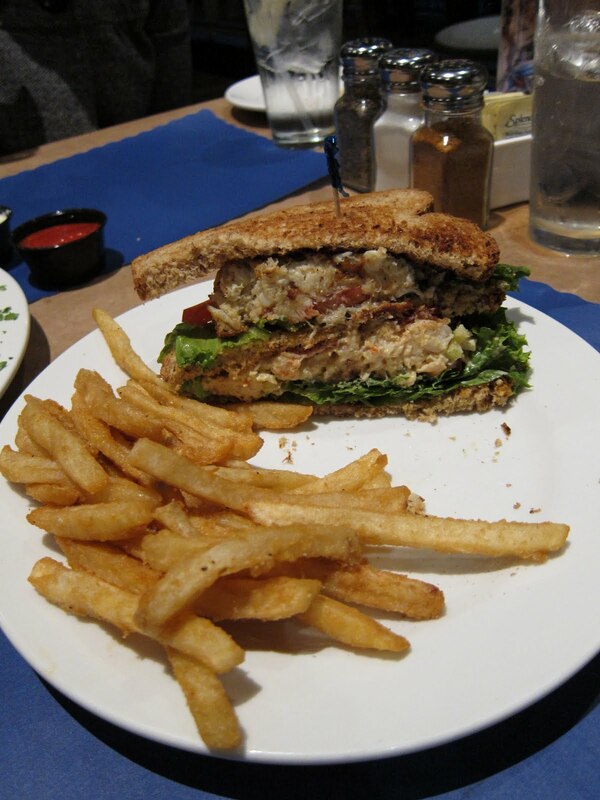 Dan chose the Bo’s “Near-Famous” Seafood Club ($12) - Crab cake and shrimp salad between slices of toast and topped with bacon, lettuce, and tomato. 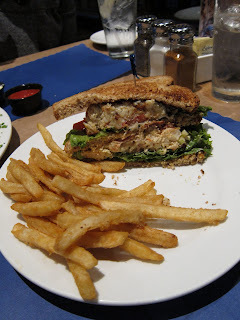 I LOVED this sandwich, and for $12? That's a ridiculously good price considering you are getting a crab cake! I wished the toast wasn't as toasted since it was a bit dry, but that was something I could easily get over. Oh yea, and I loved the fries. Dan definitely loved it too, but he said it still didn't compare to his favorite version of the sandwich (but this one is still $5 cheaper!). Overall, it's nice to know that I can go to a seafood restaurant and not have to spend a fortune to get a good meal! Though I did have a number of issues with the food, I would certainly come back and order the Crab Guacamole and Seafood Club again. I would also recommend this restaurant for large parties since it's such a big space and their menu is so varied. Also, if you go on a nice night, it would be lovely to sit outside! 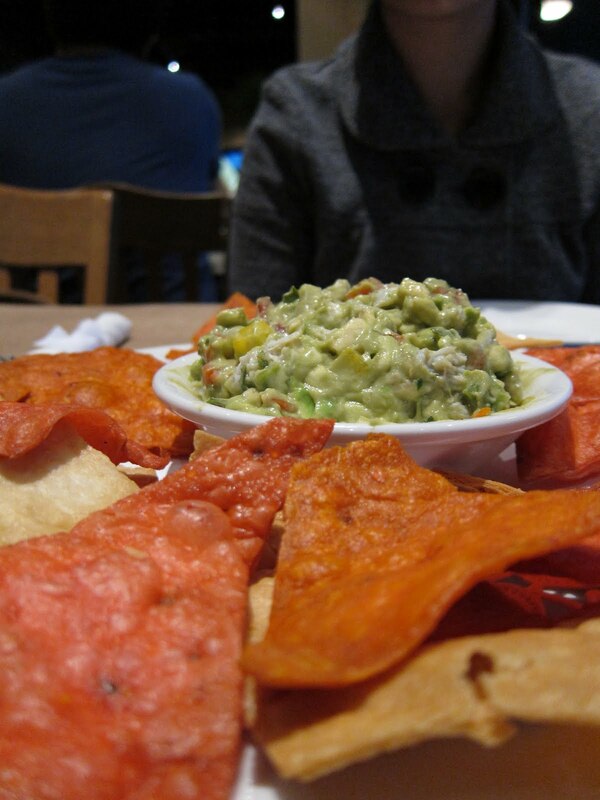 Crab guac looks soooo good. Went on Sunday and was so disappointed. #1 service was slow and not good... When you server tells you that their crabs are classified depending on their weight, you laugh. Especially when the manager tells you they measure them point to point. #4 Pricing. No entree was under $20. I know it's a seafood restaurant and seafood is getting expensive but don't abuse of your customers on outrageously raising prices because it's a holiday. If you want seafood, don't go there. Crabs are better at Riptide or Canton Dockside and so many little restaurants/pubs serve better seafond and offer better service than Bo Brooks. Willy - I'm sure your points are a lot of the reason that the restaurant only scores a 50% positive rating on Urbanspoon. I haven't been to Bo Brooks in a good 20 years, and they wouldn't be my first choice for crabs or otherwise. Woh, Willy, what an experience!! Thanks for letting me know, and I wouldn't go back if I were you! My husband and I went to Bo Brooks today and we were very disappointed with the food. Our meal started with a crab pretzel that was stale followed by dry crab cakes and undercooked scallops. The service was fair an the booth was splattered with crab residue that appeared to be more than a day old.